International law firm Bryan Cave released its investigative report Friday over the process, procedures, and personnel of the construction of Trevor Colbourn Hall. The investigation, launched by UCF in September, sought to find out how at least $38 million in funds intended for research and maintenance could have been used to construct a brand-new building. President Whittaker and Board of Trustees Chairman Marcos Marchena claim they never knew E&G funds were inappropriate for new construction and that William Merck, the former Chief Financial Officer, arguably misled Whittaker with vague information about the source of funding, according to the report. The lawyer for the former CFO alleges that records that could have implicated Whittaker and Marchena were withheld, and sent a lengthy report to House Representatives regarding their investigation of the incident to ensure those documents would be acknowledged. 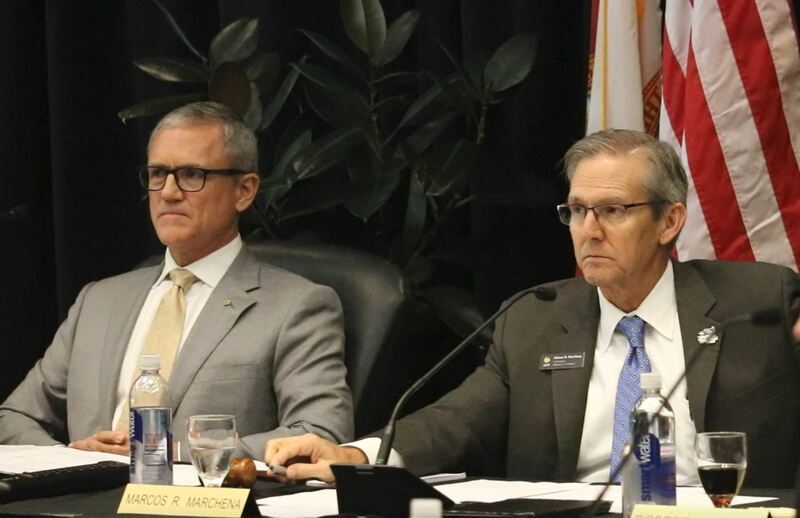 The UCF Board of Trustees will meet at 3 p.m. Friday to discuss the findings with the public. Stay tuned with Knight News for more information.